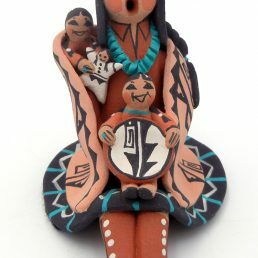 Bring the magic of the Southwest into your home with a piece of authentic American Indian artwork. 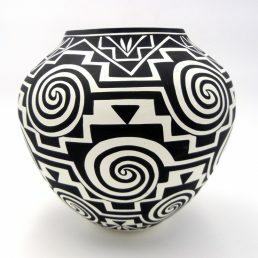 Within the large selection of Native American Indian pottery at Palms Trading Company, you will find the right size, design and color to fit your home décor and connect you to the land and people of the Southwestern Pueblos and the Navajo Nation. Pueblo Handmade Pottery for Sale here. 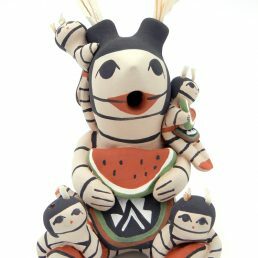 Native American Handmade Pots, Bowls, and Vases! 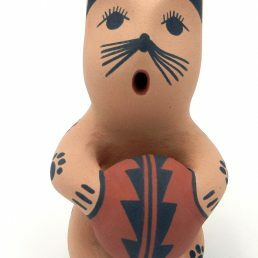 Palms Trading Company carries a large selection of American Indian Pottery that represents both characteristic styles of each Pueblo’s pottery tradition and contemporary influences. 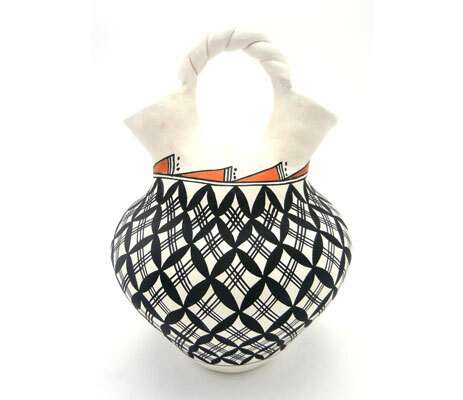 We also have special vessels like seed pots and traditional Indian wedding vases, which have special cultural meanings and ceremonial uses. 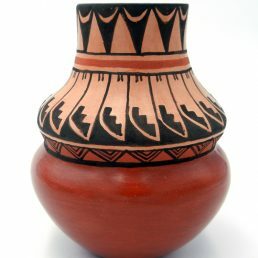 Handmade American Indian pots cannot be cared for in the same way as ceramic (glazed) pottery. 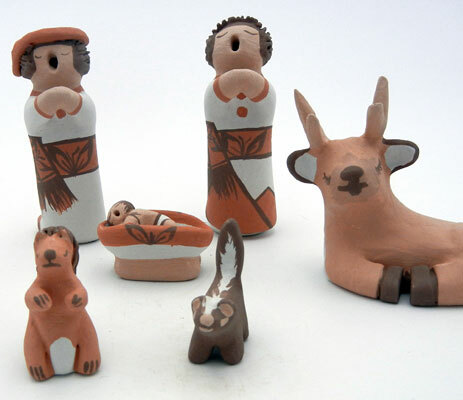 Soap and water can destroy a piece, particularly pottery created by Tesuque artists who use water-based paints that will run. 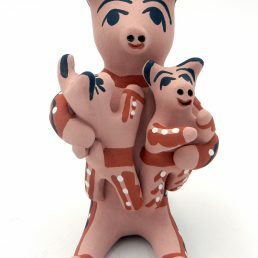 Use only a dusting cloth or feather duster to clean your piece of American Indian pottery. 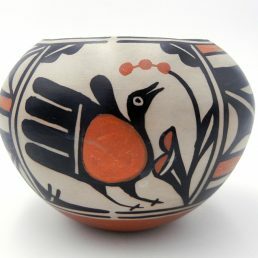 The benefits of owning American Indian pottery go well beyond the simple beauty of Southwestern home décor. 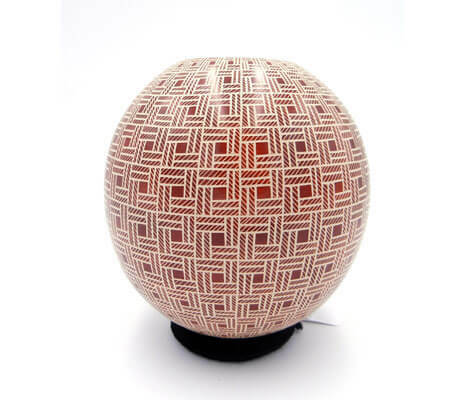 Genuine pieces add to the value of your home, and Palms Trading Company encourages you to properly insure your investments. 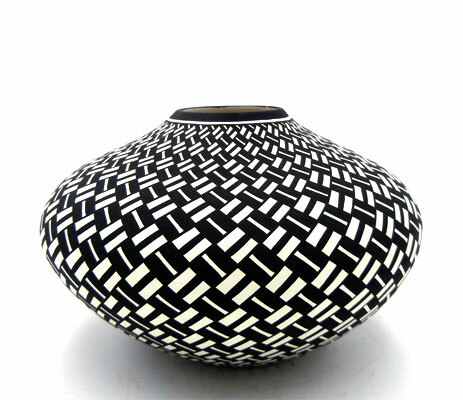 Palms Trading Company buys fine pieces of American Indian pottery directly from the artist. 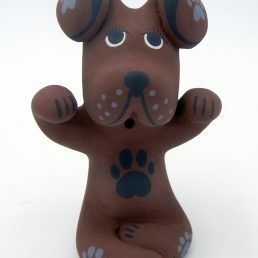 Our price reflects a fair value for the artwork. 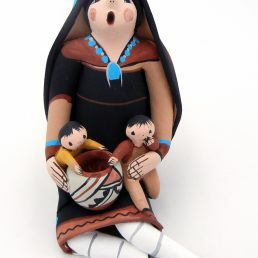 A sales receipt should be sufficient documentation to provide your insurance carrier to add your American Indian pots to your home owner’s policy. 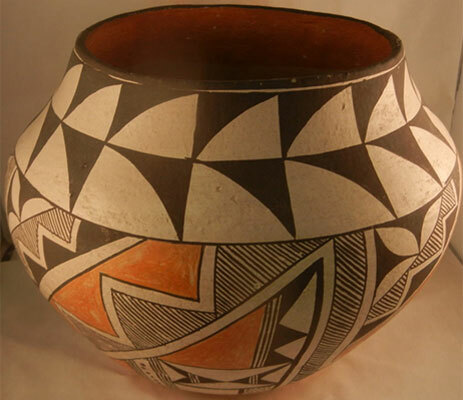 If you purchased American Indian pottery at another store or cannot find your original receipt, you may bring your piece to Palms Trading Company for an informal appraisal by one of our experienced buyers. 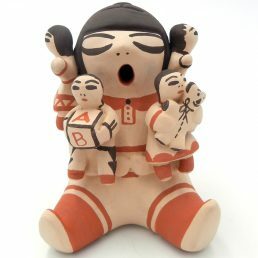 For more questions about caring for your American Indian artwork or for help designing your Southwestern home décor from our personal shopper, please contact us.